Iran Daily, August 30: New US Sanctions — A Sign That Nuclear Talks Are in Trouble? 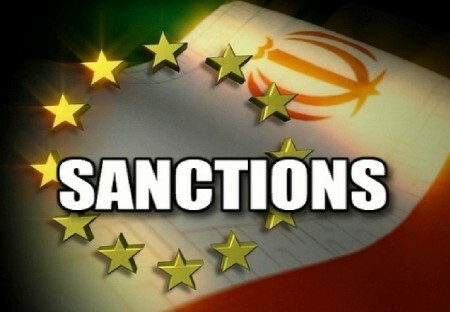 The US unveiled a new set of sanctions against Iran on Friday, blacklisting another eight individuals, nine entities, and five banks over “missile and nuclear programs, sanctions evasion efforts, and support for terrorism”. None of the new targets are familiar in the West, although one is the Organization of Defensive Innovation and Research — portrayed by US officials and media as the center of “Iran’s off-again-on-again nuclear weapons research efforts” since the 1990s. Instead, it is the timing that may be important. While the US has continued to add to the blacklist since last November’s interim nuclear agreement between Iran and the 5+1 Powers, Friday’s move comes amid signs of difficulty for the resumption — let alone the completion — of discussions for a comprehensive settlement. The Supreme Leader has led a wave of hostile rhetoric against “useless” negotiations with Washington. Meanwhile, Iran’s relations with the International Atomic Energy Agency suddenly soured last month after a trip to Tehran by IAEA Secretary-General Yukiya Amano — there are indications of disagreement over issues like the Agency’s access to the Parchin military base and the information on components such as detonators which could be used in a militarized nuclear program. The IAEA’s next quarterly report on the Iranian program is issued to members next week, and unnamed Western diplomats are already priming the media for a surge of criticism of Tehran. Iranian officials have said that the talks, seeking a comprehensive nuclear agreement by a November 24 deadline, will resume next month. Zarif is due to meet the European Union foreign policy chief Catherine Ashton in Brussels next week. The White House said on Friday that it “remains committed” to “a long-term, comprehensive solution that provides confidence that Iran’s nuclear program is exclusively peaceful”. However, it said nothing about the resumption of the negotiations. Iran continued its propaganda offensive over Israel and Palestine on Friday, celebrating “victory” for Gaza in its 50-day war with the Israelis and promising the freeing of the Palestinians from West Jerusalem’s occupation. Thanks to the resistance of the oppressed Palestinians, the nest of spider was collapsed and this great victory remains in the history of Islam for ever…. The enemies tried to sow seeds of discord among revolutionary Muslims to neglect Palestine but thanks to the wise leadership of the Supreme Leader of the Islamic Revolution Ayatollah Seyed Ali Khamenei these plots were thwarted. I congratulate this victory of the resistance, Lebanon, Syria, Iraq and Hamas, that added another shameful page to the black dossier of child-killing Zionists….This is the miracle of the resistance.